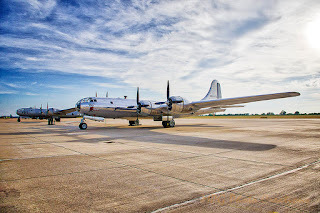 I went to the Great Bend Air Show a couple of weekends ago mainly to see these two B-29 airplanes that were supposed to fly together. I went down on Saturday which started out cold and dreary but the clouds lifted and they had the show. Unfortunately these 2 still did not fly which was a huge disappointment as it is a rare thing to see 2 of this type of aircraft together. I did not go the next day because the weather was crappy again but I saw later that they did fly that day. Incredibly disappointing that I missed it. 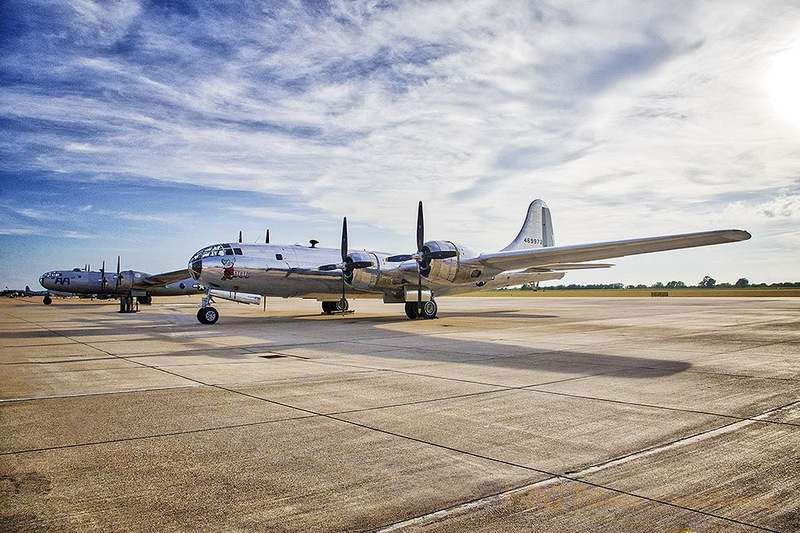 Anyway, this is Doc which was very recently restored in Wichita Kansas and Fifi in the rear which belongs to the Commemorative Air Force and I got to see fly over 30 years ago so it has been around a while. I captured them sitting after the airshow on the tarmac of the former B-29 training facility there which is now the Great Bend Airport.